"locks in place until...you let it loose." The Bandit is made exclusively for Black Powder Revolver shooters. They deliver your best accuracy without the headaches. The patented design includes a forward band that firmly holds the bullet in place until you let it loose. Higher velocities are attainable. Loading is a snap and Bandits always find center while seating. 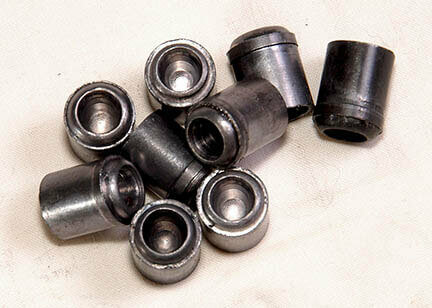 The 44 caliber, deep and wide mouth hollow point, is designed to mushroom on game. The Bandit Bullet is not yet ready for production. Please check back when Bandit is available. We will come out with .44 caliber first. Other calibers and weights will follow! The black powder revolver has not seen any changes or improvement since the advent of black powder substitutes. At Hawk, we experimented with a simple concept that held the bullets in place much better while letting the shooter load to higher velocities. The noted writer, John Taffin, tested earlier prototypes. He found that they made shooting black powder revolvers enjoyable because they loaded well and held firm in the cylinder. Most importantly was the improvement they offered to accuracy. The patented forward band locks the bullet in the cylinder and improves accuracy. 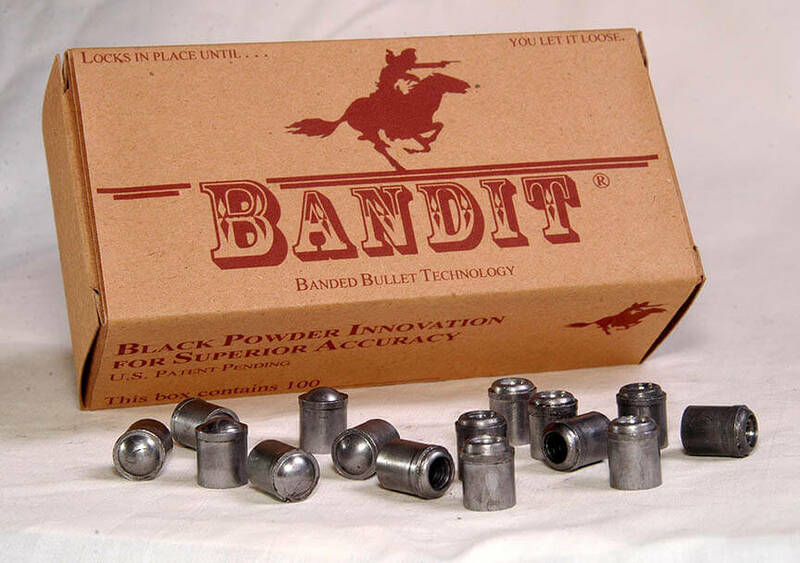 This is the only bullet offered in a true hunting version for black powder revolvers. Yes, even at the low velocities of black powder revolvers, the Bandit hollow point, with its deep, wide mouth, will mushroom properly on game. Hawk Bullets was started in 1987. 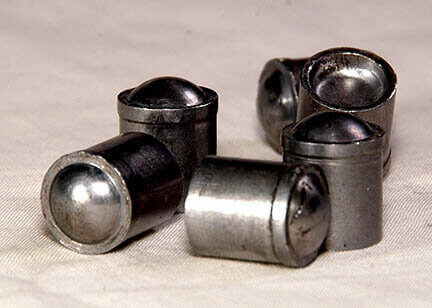 Since that time, Hawk has become the undisputed leader in custom bullets; making jacketed hunting bullets in most of the obsolete calibers from the past. We are excited to offer the black powder revolver enthusiast the first major innovation in decades. © Hawk Incorporated 1994-2016. All Rights Reserved.